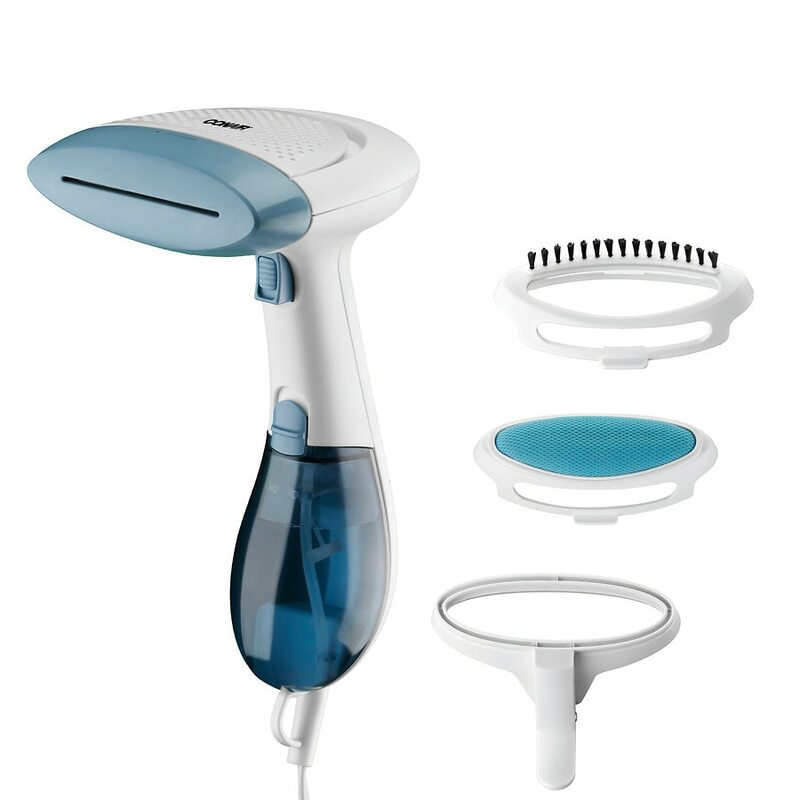 Introducing the Conair® Extreme Steam hand held fabric steamer with dual heat. Extreme Steam Dual Heat Technology creates concentrated steam, up to 30% hotter, to help penetrate heavier fabrics and support the release of wrinkles 5x faster than other steamers. It even helps kill dust mites and bed bugs. Heating up in about 75 seconds to support 15 minutes of steam time, this must-have helps bring garments back to life. Two heat settings take care of a range of fabrics, like wool, cotton, silk, satin and more. It has a 1110-watt dual heater system and includes 3 removable attachments: Fabric brush, creaser, and soft cushion brush. It comes with a removable water tank and 9-foot power cord to support safe and convenient movement. It also features a steam trigger with a built in switch for constant steam and energy-saving steam pause.